Don’t let the rain and gloom get you down. Seize the layering opportunity with these gorgeous outerwear! If like us, you live in typically year-long summers, then there’s lots to learn about outerwear for the cold season. Are you all stocked up with these essentials? Practical for the cold months ahead and to spruce up your outfits, a good outerwear is both fashion and function. Pick up this badass Nasty Gal Leather Moto Jacket embellished with studs and a Rolling Stone-esque emblem. For all you ladies who don’t own a denim jacket, it’s time to invest in one. The extremely versatile outerwear will become your new go-to, as it pairs well with almost any style, be it denim on denim, summer dresses, rompers, pants, and just…everything! With a variety of washes and cuts, the denim is made to suit every style choice. 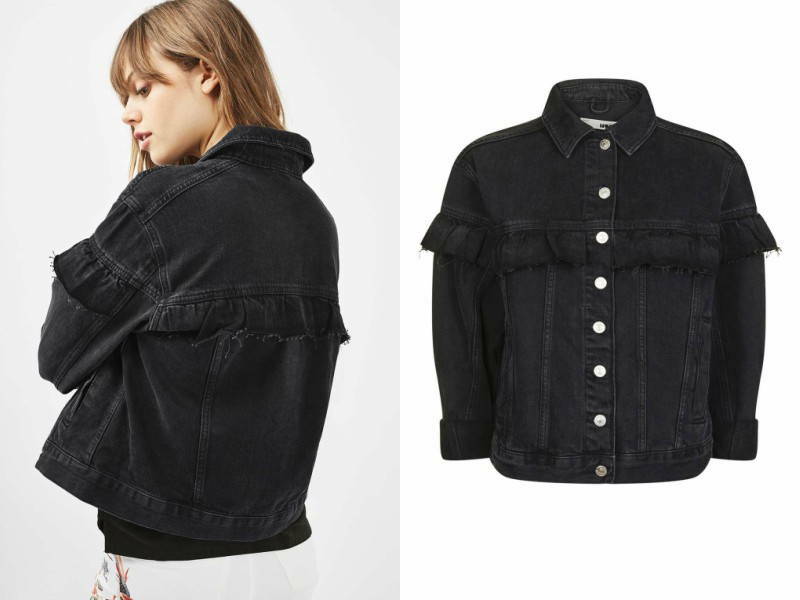 Frills are in – this MOTO Frill Denim Jacket from Topshop is a cool mix of romance and street! A tailored blazer is an essential piece in every girl’s closet. Classic, feminine, and versatile, this outerwear exudes confidence. It can be paired with casual wear or business wear. We love the tailored look of this Black Tux Blazer from Dorothy Perkins, so classic. The Kimono throw has become a fashion statement. Lightweight, versatile, and fun, this outerwear is perfect for days when the weather can’t seem to commit to one season. It’s the perfect statement piece to spruce up any basic outfit. They come in many bold colours and designs to suit any look. 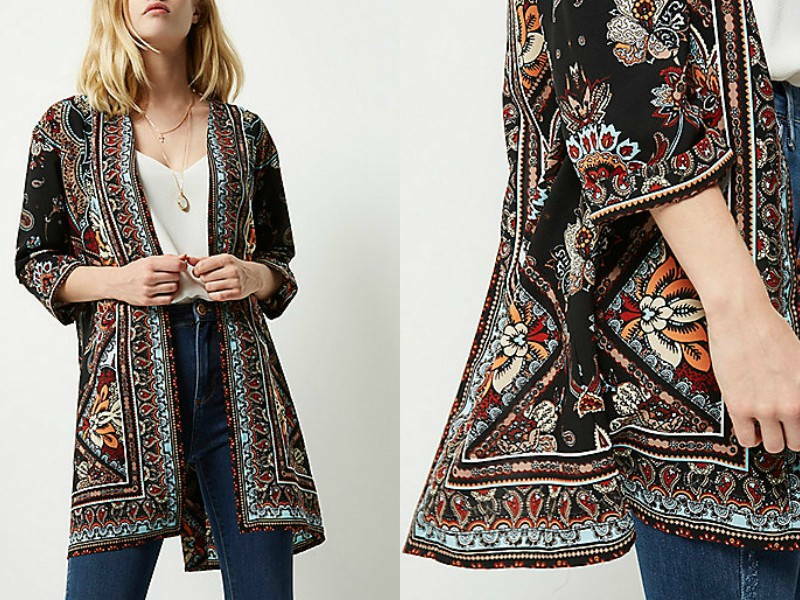 This standout Black Paisley Print Kimono from River Island is giving us feel good festival vibes. Made popular by the jocks, the varsity or letterman jacket was traditionally donned to show team or school pride. It has since become a fashion piece to amp the sporty chic look. Thick and comfy, this jacket will not only keep you warm but really level up your athleisure #ootd. If you think the Varsity Jacket is so last season, then check out this revamped Lazy Oaf Varsity Jacket with Bored Badge from Asos. The Bomber jacket is taking the fashion world by storm. Day or night, the bomber jacket will look chic with any outfits. Skin the basic bomber and go for something sheeny, embellished, or velvety. This soft and sheeny Bomber Jacket from H&M is a basic piece that will liven up any outfit. The Cardigan is your practical and lightweight jacket [perfect for breezy days. can easily stuff it into your bag when you’re indoors and no longer need the warmth. Plus, its soft material is basically a hug you can wear to insulate those Monday blues. Feeling a little festive? 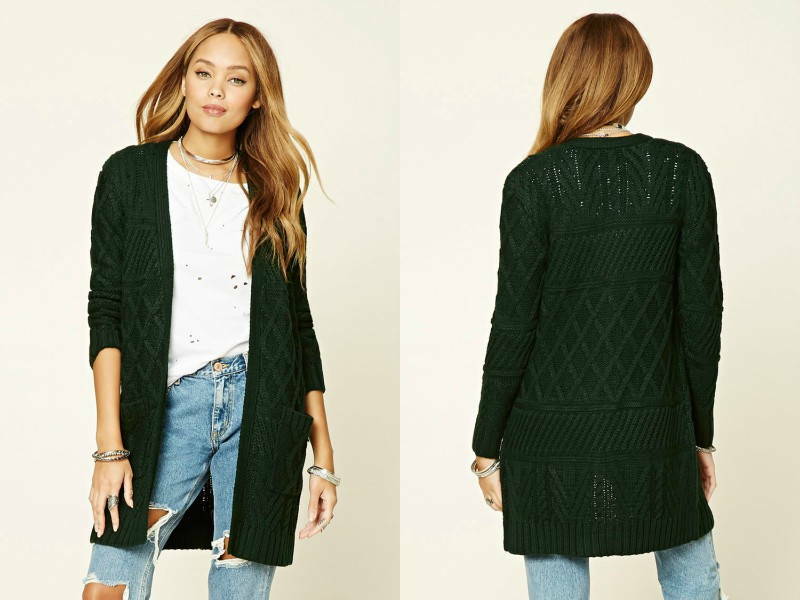 This green Cable Knit Longline Cardigan from Forever21 is getting us excited for Christmas! The Parka is starting to make waves on this side of the world, converting from a cold-weather piece into a fashion statement. Add a touch of ruggedness while warm and dry with these fashion forward “raincoats”. This lightweight jacket is often made with nylon and fur trimmings to keep you toasty. 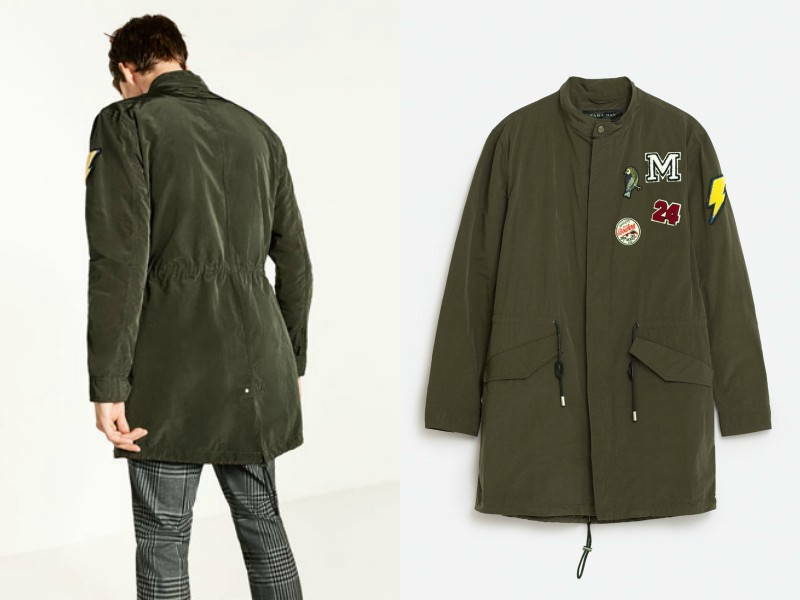 This Zara Patch Parka Coat adds some cheekiness to the otherwise basic parka.